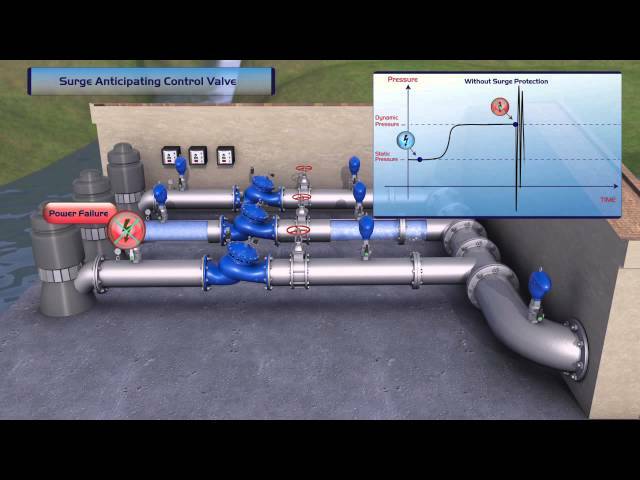 Watch this video to see how the BERMAD Surge Anticipating Valve protects pumping stations against damage from surge and water hammers. 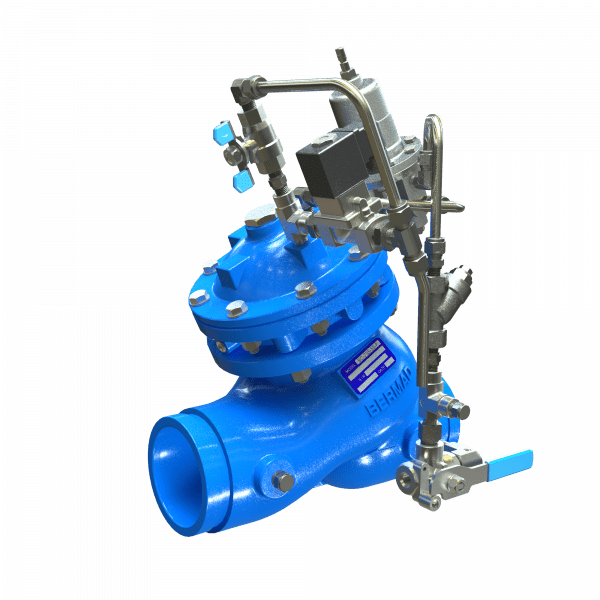 The Model BC-735-55-P Surge Anticipating Valve with Solenoid Control is an off-line, hydraulically operated, diaphragm actuated valve. 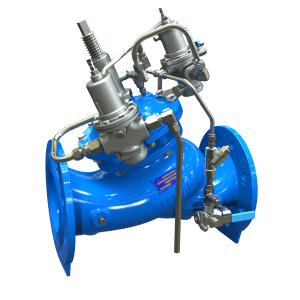 The valve immediately opens in direct response to any power failure even prior to the pressure drop associated with abrupt pump stoppage. The pre-opened valve dissipates the returning high pressure wave, eliminating the surge. The BC-735-55-P, sensing line pressure, smoothly closes drip-tight as quickly as the relief feature allows, while preventing closing surge. The valve also relieves excessive system pressure. 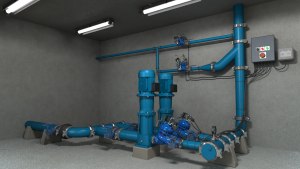 A soft start/stop pump station with emergency surge protection – in a case of power failure the UPS backed controller will activate the 735-55 to open immediately and anticipate any returning surge from the riser, thus reducing water hammer damage and prolonging equipment lifetime.